In the annals of espionage, one name towers above all others: that of H.A.R. 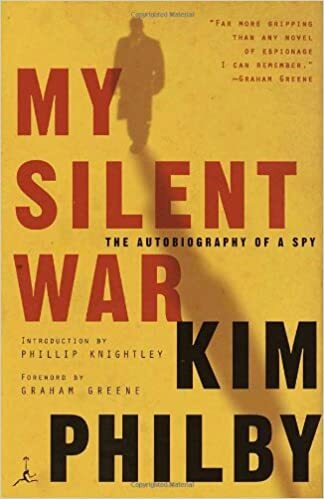 “Kim” Philby, the ringleader of the legendary Cambridge spies. A member of the British establishment, Philby joined the Secret Intelligence Service in 1940, rose to the head of Soviet counterintelligence, and, as MI6’s liaison with the CIA and the FBI, betrayed every secret of Allied operations to the Russians, fatally compromising covert actions to roll back the Iron Curtain in the early years of the Cold War. Written from Moscow in 1967, My Silent War shook the world and introduced a new archetype in fiction: the unrepentant spy. It inspired John le Carré’s Smiley novels and the later espionage novels of Graham Greene. Kim Philby was history’s most successful spy. He was also an exceptional writer who gave us the great iconic story of the Cold War and revolutionized, in the process, the art of espionage writing.